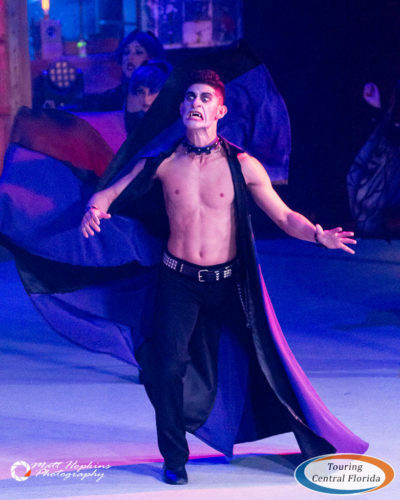 NOTE: Along with the preview below, be sure to check out our look at opening night at Howl-O-Scream 2018! 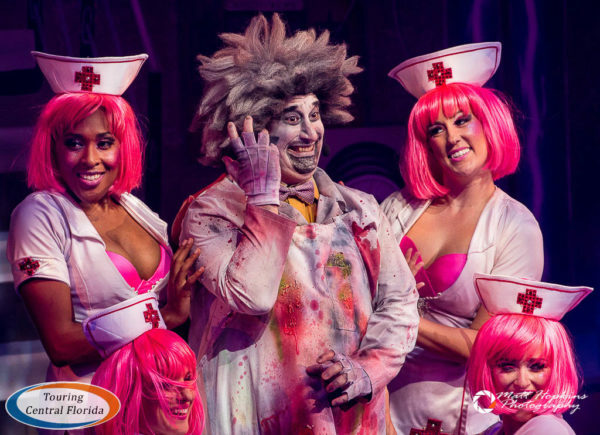 We are just days away from the start of Howl-O-Scream 2018 at Busch Gardens Tampa Bay! 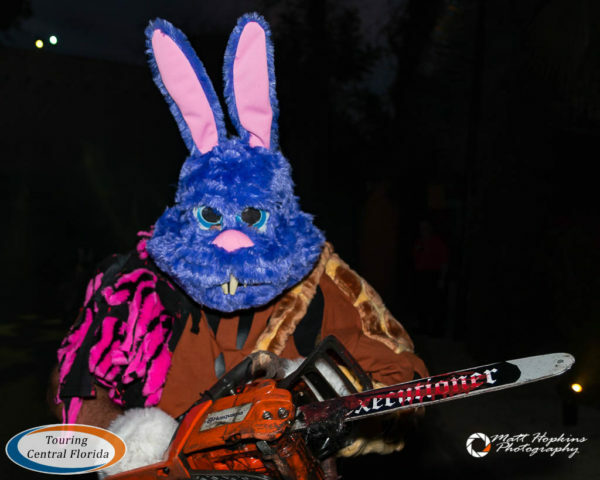 For 19 nights, beginning with Freaky Preview Weekend on September 21 and 22 and ending just before Halloween on October 28, the premiere haunt event in the Tampa Bay area will feature six haunted houses, six scare zones, a variety of special entertainment, shopping, games and more. On event nights, Howl-O-Scream is open from 7:30 p.m. to 1 a.m.
Like last season, there is no main icon or cohesive theme that had been a staple of Howl-O-Scream storytelling for many years. 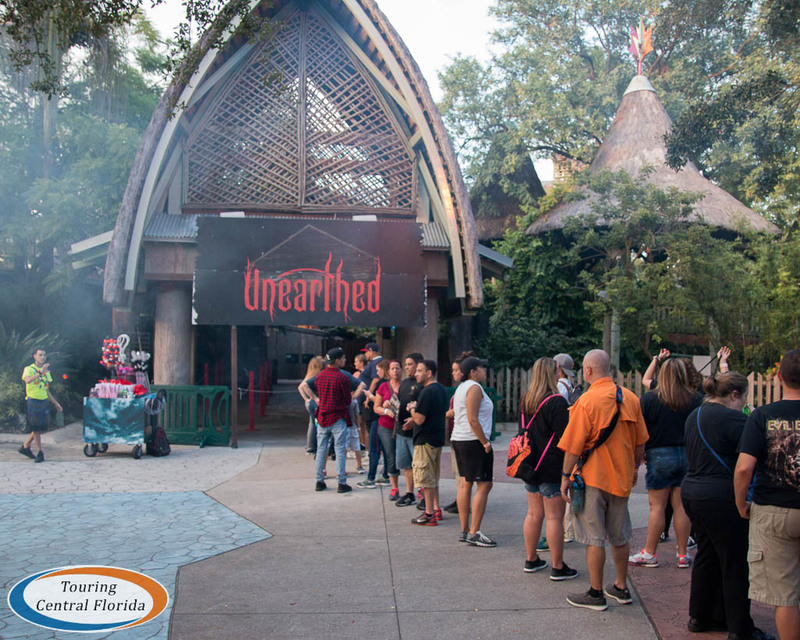 Instead, Busch Gardens Tampa has again been using the tagline Nowhere to Hide for this year’s Howl-O-Scream, often using the hashtag #NowhereToHide when posting on social media. 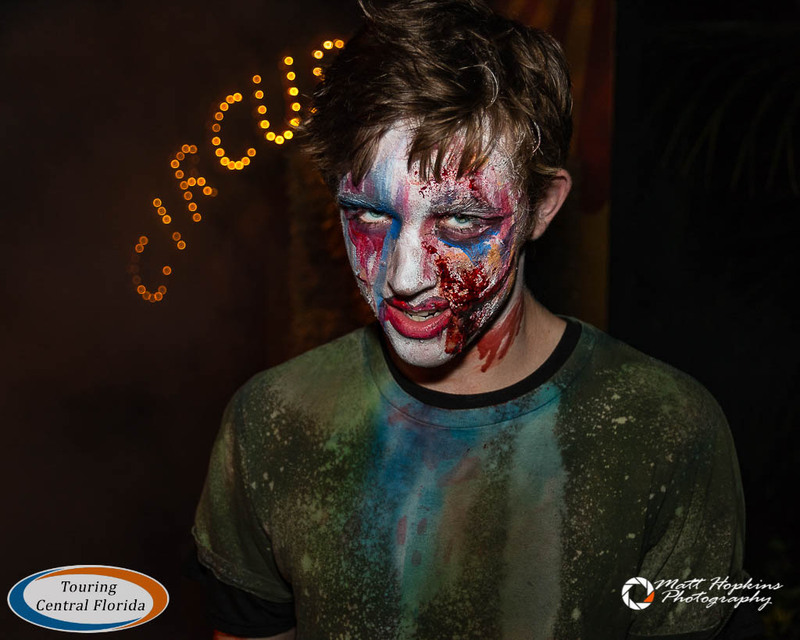 This follows the general marketing seen so far, with scare actors overrunning not only the haunted houses and scare zones, but also the park’s thrill rides. 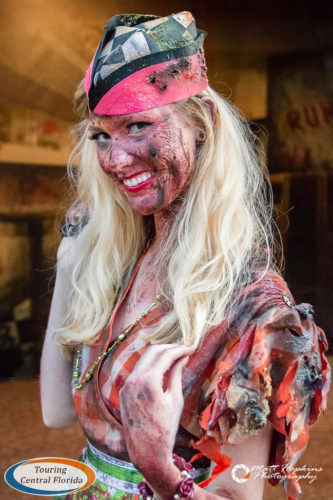 One new aspect of this year’s event is the suggested 17+ scare zone and house, located inside Gwazi Field. 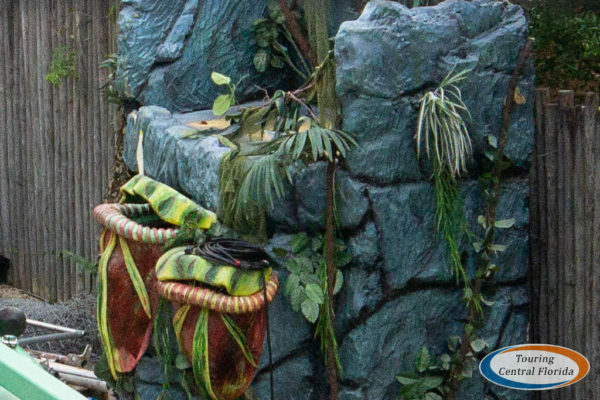 The park has confirmed it is merely a suggestion and not a restriction – there will be no enforcement of the policy, as they are leaving the decision to visit the area up to each guest. 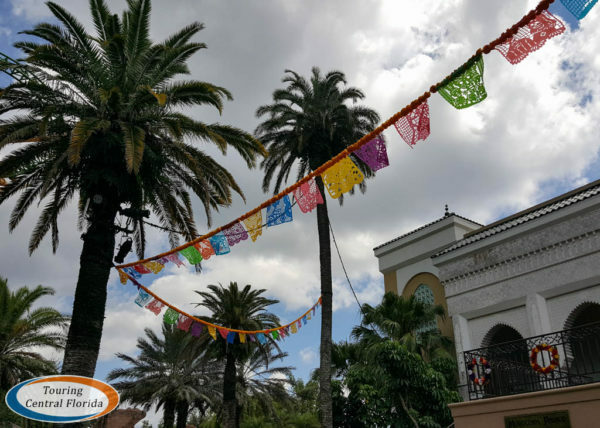 Read on to see all that Howl-O-Scream 2018 at Busch Garden Tampa Bay has in store for guests, including a look at each of the houses, all the scare zones, plus tickets, Evil Upgrades, and more! 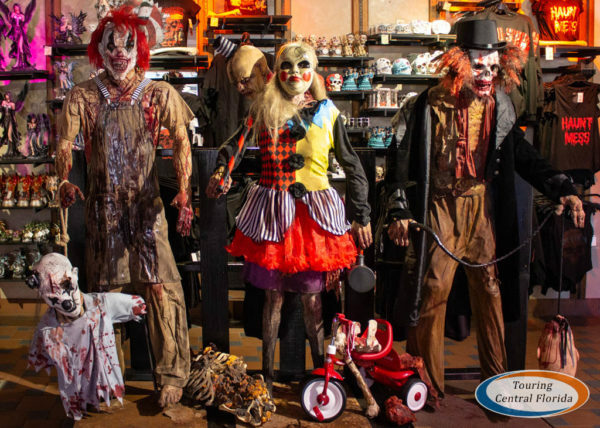 This Howl-O-Scream season will see a total of six haunted houses, with two new joining four returning houses. 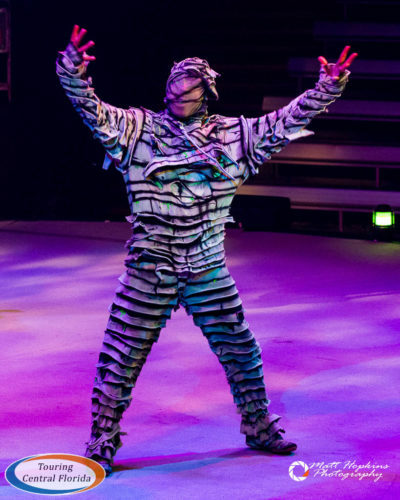 Perhaps most surprising this year is that both new houses from last season – Demented Dimensions and Undead Arena: Live – are NOT returning this season. 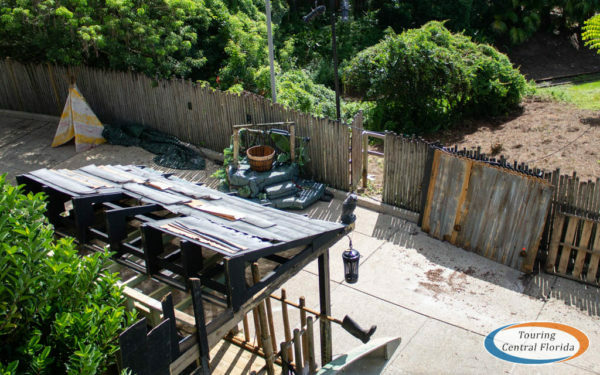 Zombie Containment Unit 15, the interactive laser tag house that has been around for several seasons is also not returning. Every door in this haunted asylum leads to your worst nightmare and the doctor is accepting new patients. Have your fears turn into fate as this reality comes to life. Patients will be forced to stay awake as they receive twisted treatments from demented doctors. There are no cures for the curses inside this hospital from hell. This brand new house will be located across from Serengeti Overlook, where Zombie Containment Unit 15 was located last season. It’s location #5 on the map. We found the sign hung this weekend, although well covered with both black fabric and some camouflage. By merely stepping inside, you have agreed to play Simon’s sick and twisted games. Entering this horrifying realm requires a journey through the Meat Market where cannibalistic creatures feast on the weak as they add to their Monster Menu of human hors d’oeuvres. Due to the intensity of Simon’s Slaughterhouse, this house is suggested for a 17 and older audience. The second new house this season, it replaces Undead Arena: Live on Gwazi Field. It’s location #3 on the map. 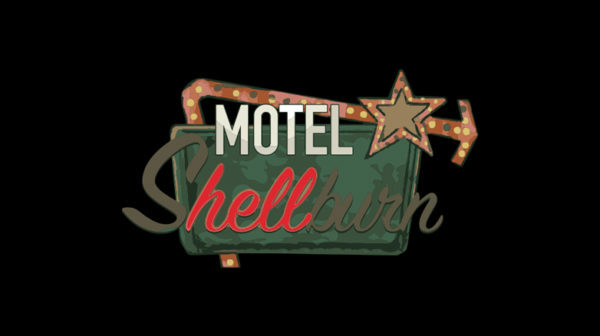 Motel Hell returns behind the Xcursions gift shop in Bird Gardens, and this highly rated house that debuted in 2016 will surely be popular with guests again this season. 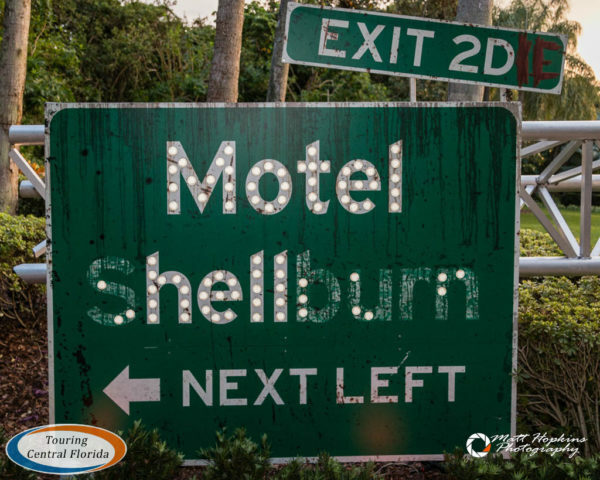 What seems like a deserted motel is actually haunted by the spirits of the former owners, employees and guests who weren’t ever able to check out. 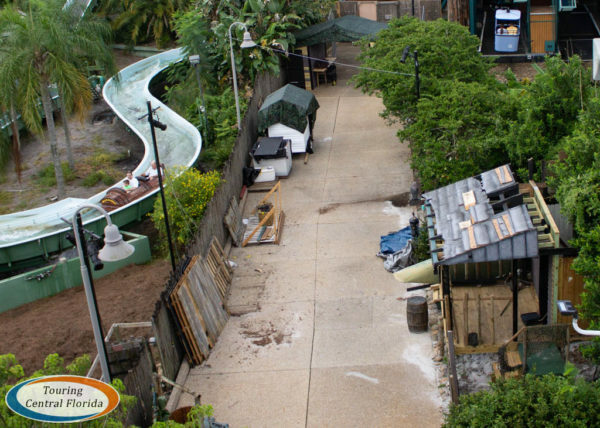 Another returning house that debuted in 2016, The Black Spot: Bloodshed has guests marked by infamous pirate Saw Tooth Silas trying to escape. One thing learned from last season’s return of Fiends to the Stanleyville Theater is that The Black Spot saw longer queues that usual, especially after each Friends performance lets out. You’ll find The Black Spot in Stanleyville, near Zambia Smokehouse, at map location #4. 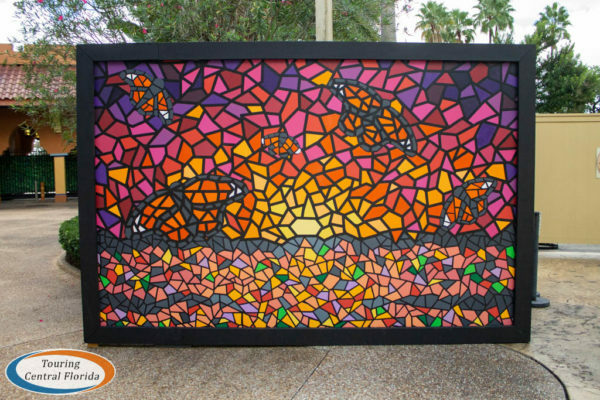 Unearthed returns for its fourth season in the former Gwazi station area. Although it’s unclear if Scarlett will be making a return this season, the theme of the house remains the same, where her spirit takes revenge on all those who enter by collecting their eyes. Unearthed is located at #1 on the map. 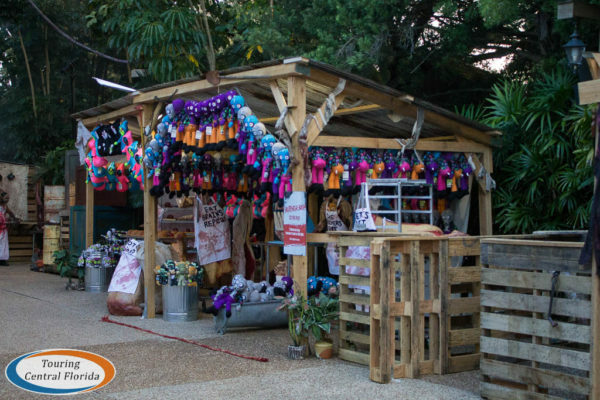 This will almost definitely be the last season a Howl-O-Scream house will be located in the former Gwazi station area, as the park announced last week the roller coaster will be revamped for 2020. 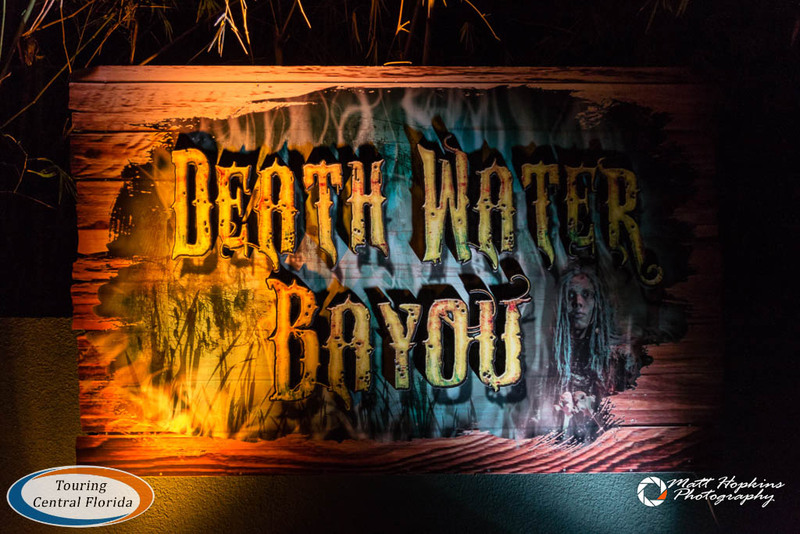 The oldest returning house, Death Water Bayou is back for its sixth season, where guests will have to escape the curse of the Voodoo Queen. 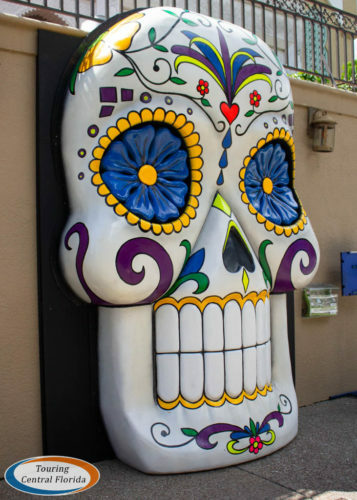 You’ll find this highly themed and guest favorite house behind Zagora Cafe at map location #6. 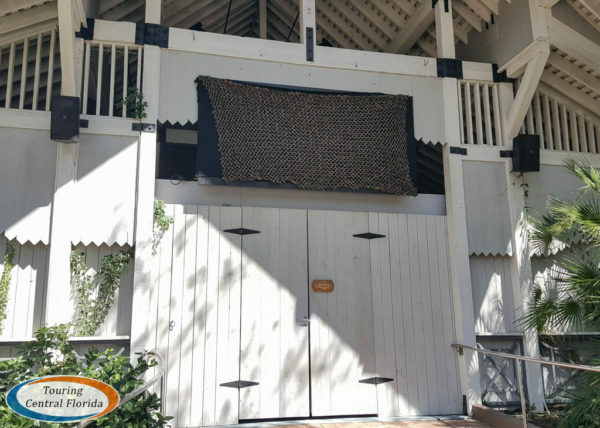 Since this house is the first that guests encounter when they enter the park, it may be better to return to this location later in the evening for a chance at shorter lines. Six scare zones are slated for Howl-O-Scream 2018, and five will be new. A night at this deadly campground ensures a sleepover like no other. Campers should sleep with one eye open as swamp mutants arise to make sure nobody gets a good night’s rest at this haunted marsh. Camp D.O.A. will be located on the bypass pathway between Stanleyville and Jungala/Congo. 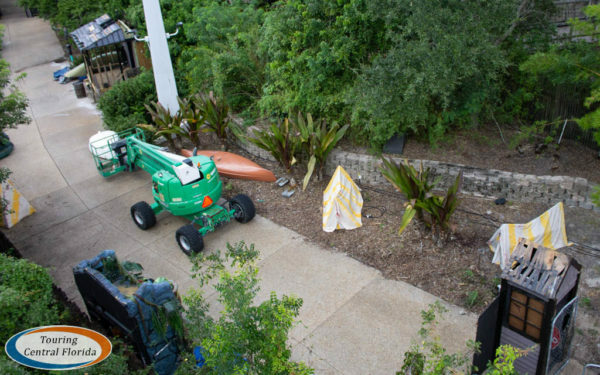 This means Jungala will be closed again during Howl-O-Scream. Childhood memories will be crushed as the horror comes to life. Lock up your toy box because life-size toys are heading out on a murderous rampage and no one is safe from their deadly wrath. 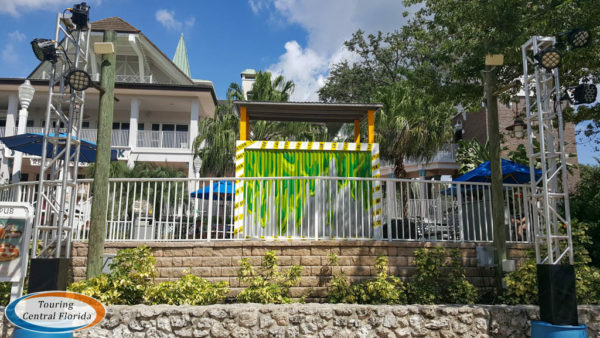 This scare zone will be located along the pathway outside of Sesame Street Safari of Fun (which is closed during Howl-O-Scream). Attempting to approach this apocalyptic stronghold? Think again, as this nefarious motorcycle gang is willing to do the unspeakable to protect their survival supplies. With this gruesome gang in charge, your path to survival is looking grim. Keep an eye our for the gang between Zagora Cafe and Unearthed. 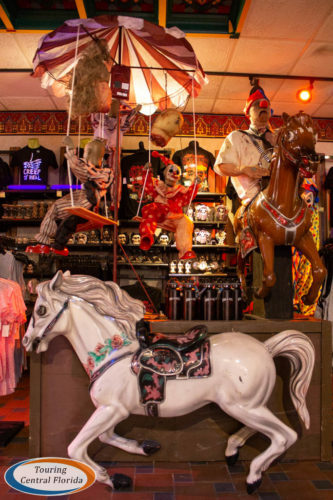 Join Sparky and his carnie crew as you step into the center ring at the “scariest show on earth.” Clowns have overtaken the midway looking for the newest stars of this horrid attraction. 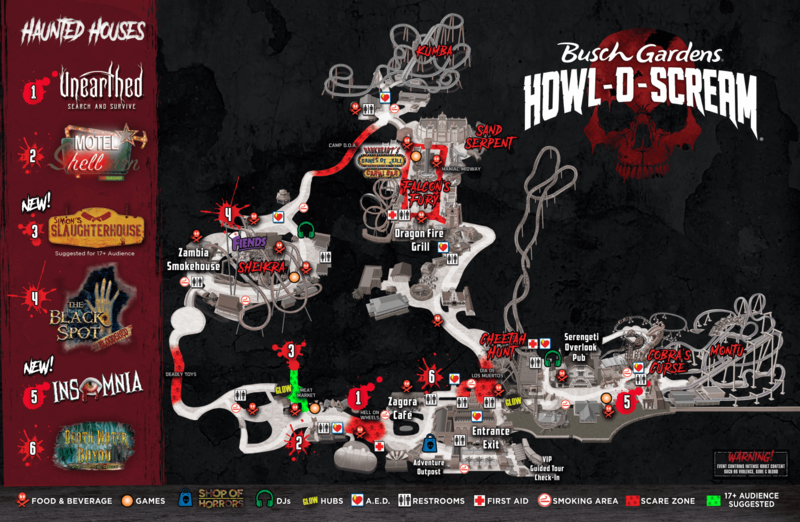 Based on the map, this scare zone will take over basically all of Pantopia. 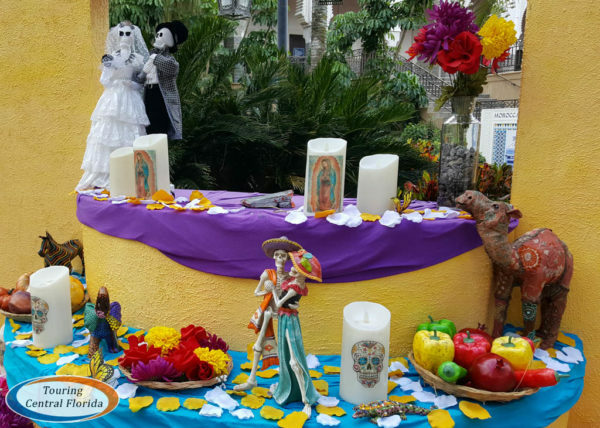 Also known as the “Day of the Dead”, Día de los Muertos will join the Howl-O-Scream event this year. 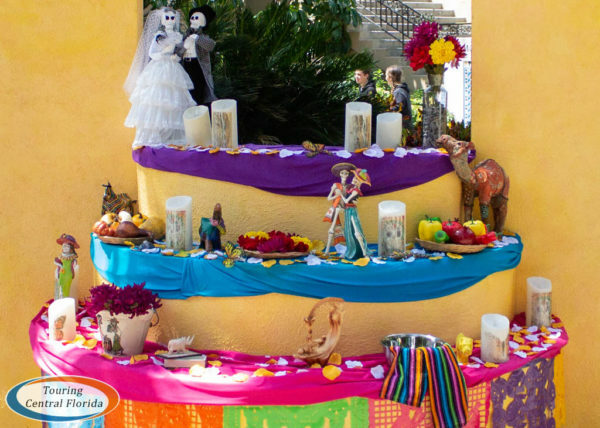 This mysterious realm includes a one-of-a-kind celebration of life and a parade to honor those who have gone before us. 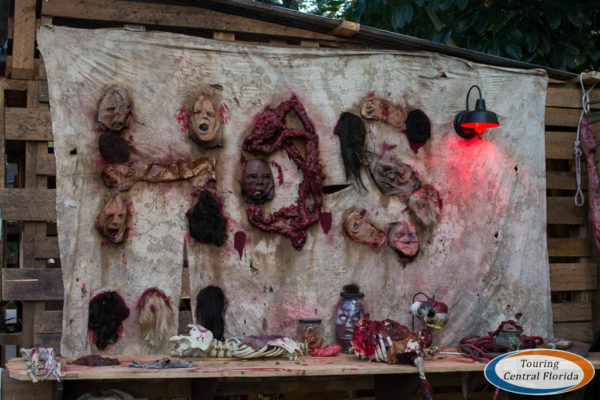 Look for this scare zone outside of Moroccan Palace Theater and along the path heading towards Nairobi. Cannibalistic creatures will feast on the weak as they add to their Monster Menu of human hors d’oeuvres. 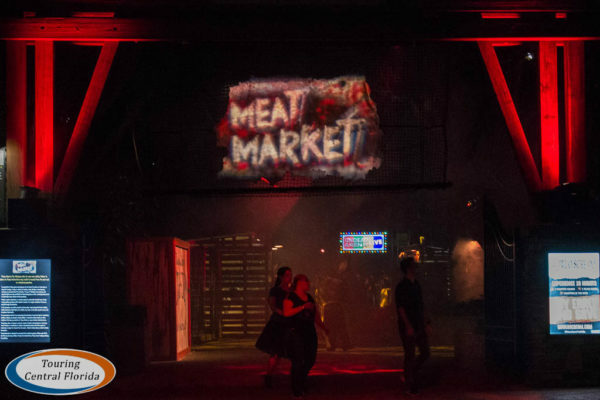 Meat Market serves as the entrance to the new Simon’s Slaughterhouse, and is part of the suggested 17+ area due to its intense nature. Meat Market is located along the Gwazi Field pathway. While not an official scare zone, the main entrance area will also likely have some scare actors to get guests in the haunt mood as they enter the park. 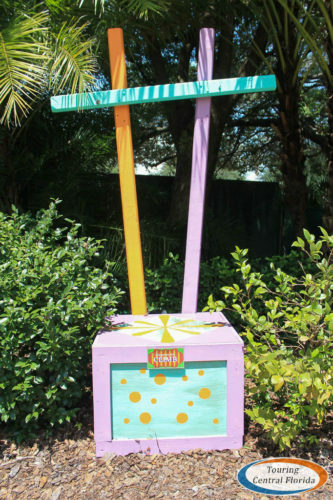 And don’t think just designated scare zones will be infested with monsters – there’s a good chance they can appear anywhere in the park! 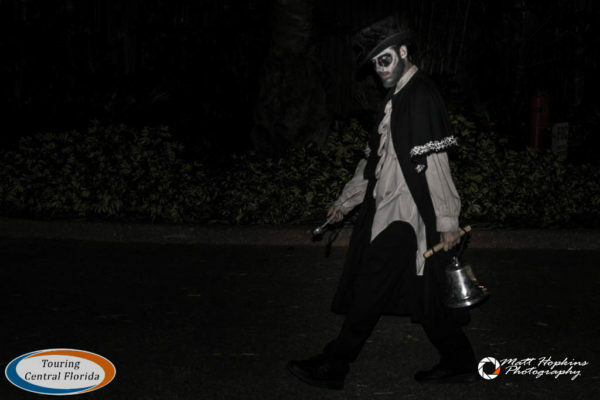 There are usually mini-scare zones that pop up and roving groups that troll the pathways looking for unsuspecting victims. 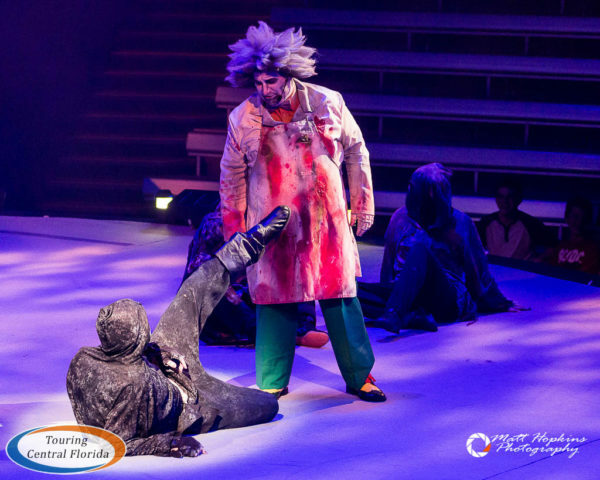 The perennial favorite Fiends returns this Howl-O-Scream, and is back again in Stanleyville Theater after moving out of Dragon Fire Grill last season. Expect the same high energy dance numbers mixed in with new pop culture references and adult humor from Dr. Freakenstein & Igor. There will also be a preview of the Fiends show at Fright Feast – see more details on that in the Food & Beverage section below. 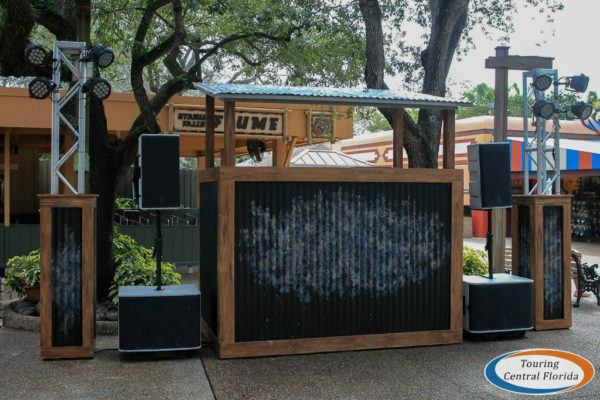 Look for two DJ booths in the Stanleyville and Cheetah Hunt plazas, where you can enjoy a little dancing in between scares. 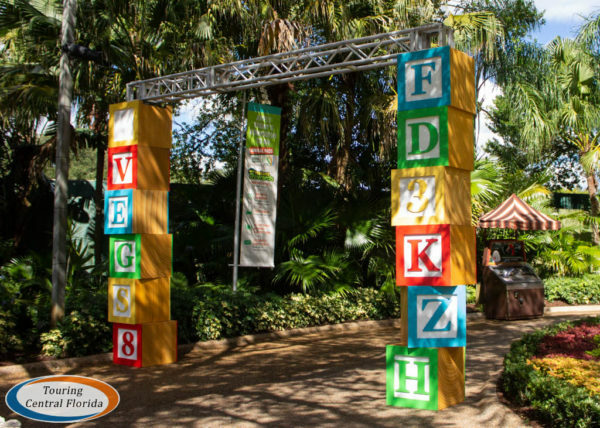 Expect to find some of the food and beverage tents nearby. 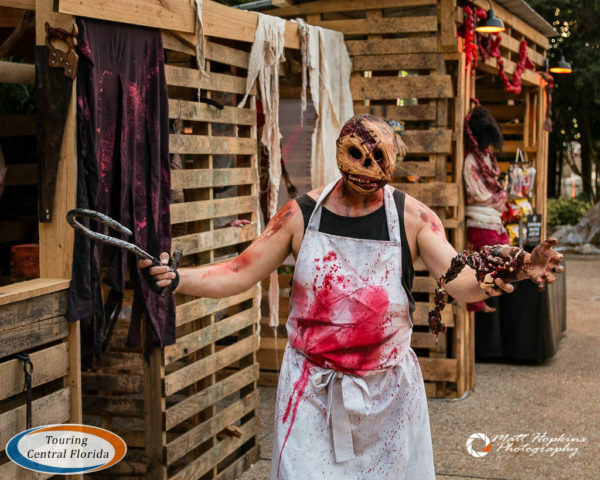 Along with a number of the regular counter service restaurants and concession stands being open, there will also be a number of tents available for guests looking to grab a bite to eat between being scared to death. 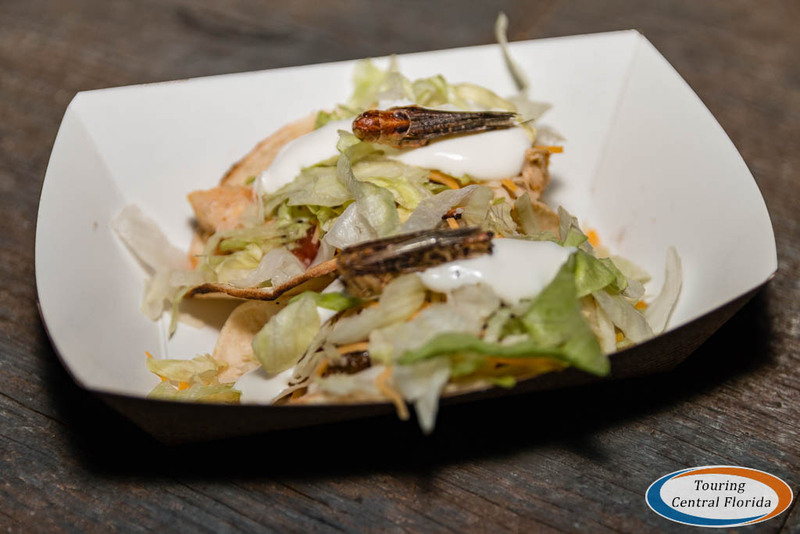 No word yet on if there will be any special or unique offerings available, like the grasshopper tacos in the Meat Market scare zone last season. 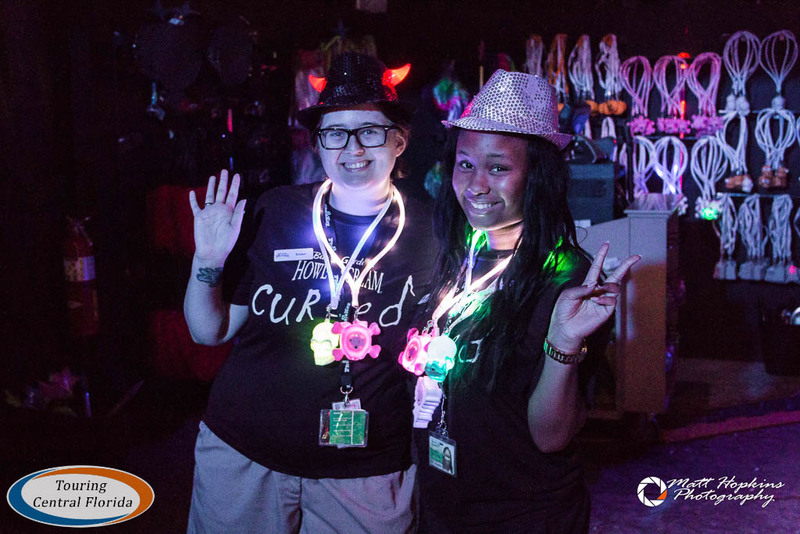 Also, keep an eye out for roving shot girls (and guys) in case you need a drink between bar locations. One of the most popular Evil Upgrade options, and arguably the best value, is Fright Feast. 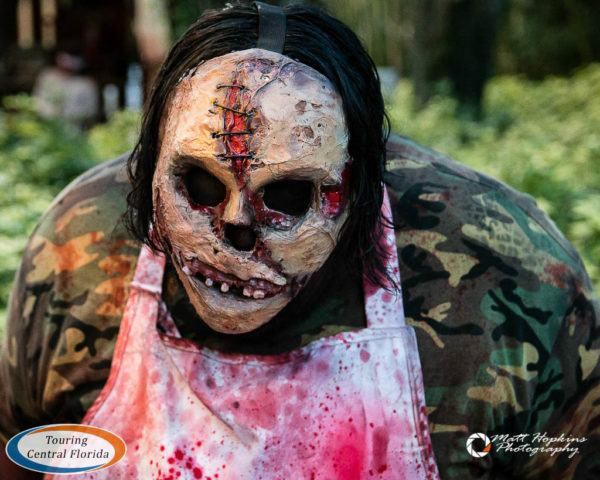 Those who purchase a Fright Feast pass get into the park (through the Nairobi gate) at 6 p.m., and head to Dragon Fire Grill for an exclusive dinner and show. Then at 7 p.m., a half hour before the event officially opens, guests get access to some of the houses. 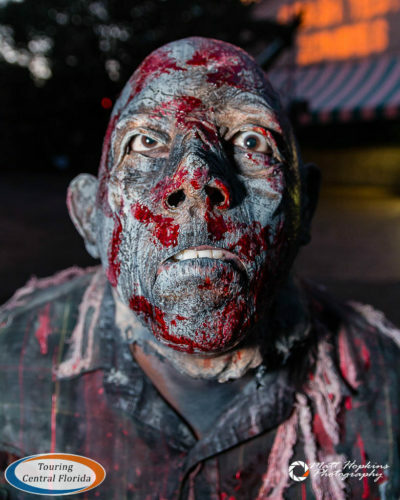 Plus, until 8:30 p.m., Fright Feast guests get front-of-the-line access to all of the houses. While we’re hearing the menu for Fright Feast won’t be as robust, and the show will only be a short preview of Fiends, you can read our review on the experience last season to get an idea what to expect. Pricing for Fright Feast ranges from $29.99 to $39.99 depending on the night. New this year is an option to add a beverage package, with a voucher for three drinks you can redeem throughout the night at bars around the event – including beer, wine, cocktails, soda or water. 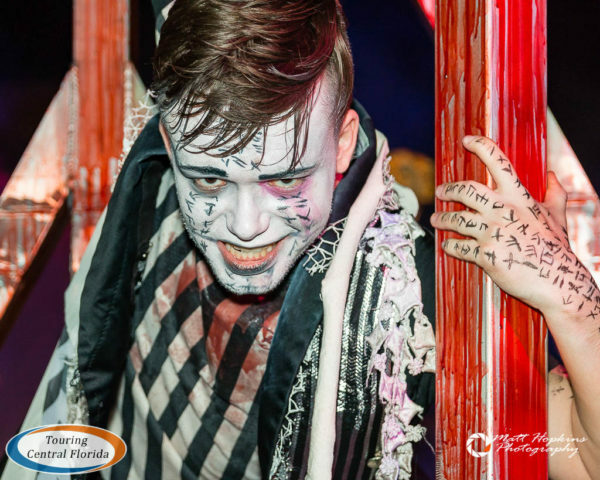 Pricing for Fright Feast & Beverage Package range from $49.98 to $59.98 depending on the night. Since you’re really paying about $20 for three drinks, it would be a bad deal if you only plan to drink soda or water. But if you plan on having at least three alcoholic drinks during the evening, you’ll likely save a few dollars with the package. 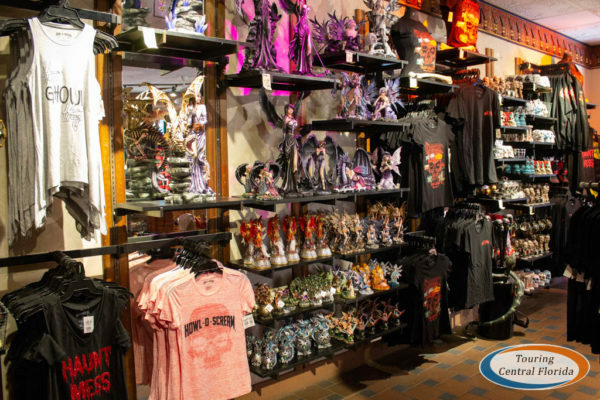 Shop of Horrors opened earlier this month inside Marrakesh Market near the park’s entrance, and features all the latest Howl-O-Scream 2018 apparel, souvenirs, and Halloween themed decor. 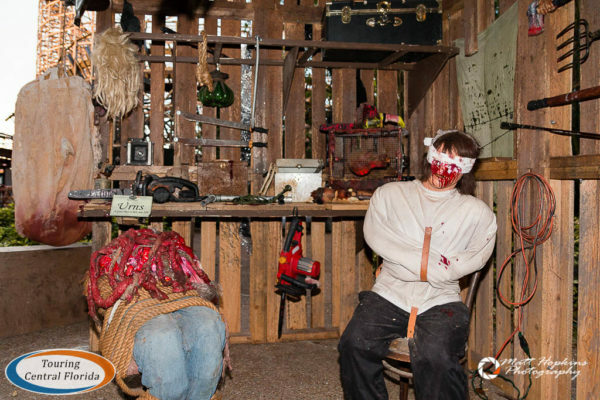 See more about Shop of Horrors in our recent article. There will also be three Glow Hubs, where you can pick up a variety of light up, blinky, and glow in the dark souvenir items. Just remember to turn them off before going into the houses as not to ruin the experience for other guests! DarkHeart’s Games of Skill returns in Pantopia, where the different games will feature Halloween themed prizes. 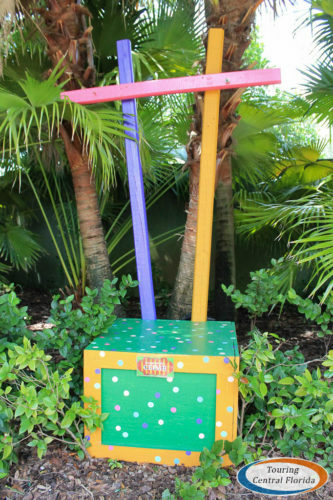 Other game locations are scattered throughout the park. 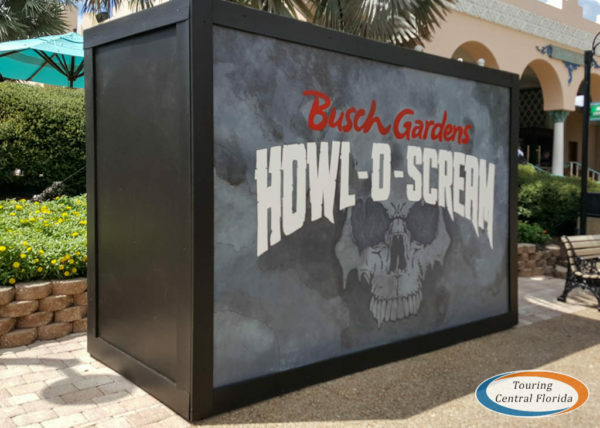 Most of Busch Gardens’ thrill rides will be open during Howl-O-Scream 2018, including all of the major roller coasters, along with Falcon’s Fury and other attractions like the bumper cars. Advertising for Howl-O-Scream this season has shown scare actors on some of the rides as well, just like last year. 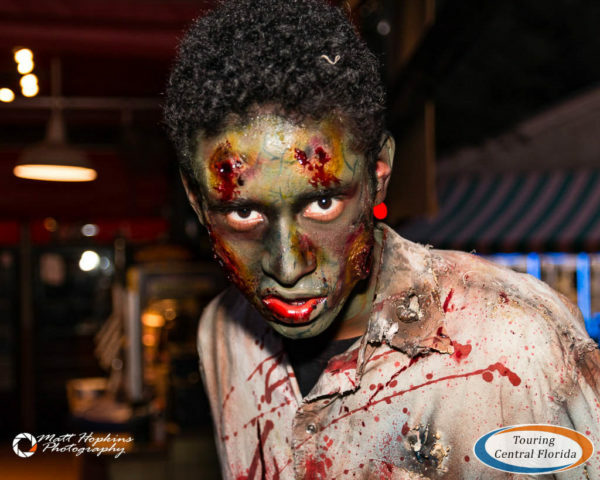 Look out for zombies driving bumper cars and riding along on a few of the coasters on occasion. 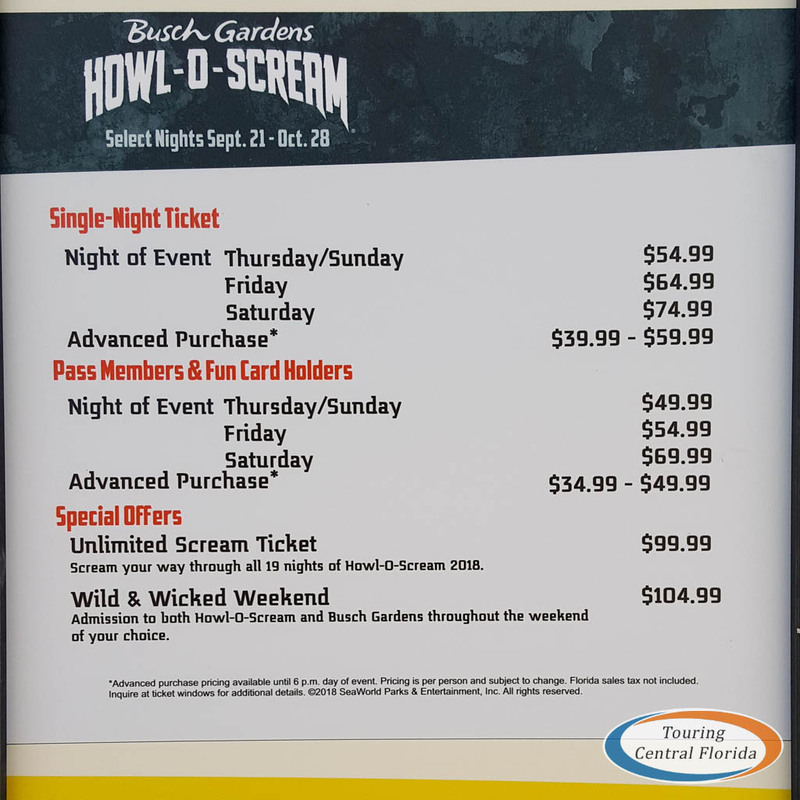 Howl-O-Scream 2018 at Busch Gardens Tampa Bay is a separately ticketed event. 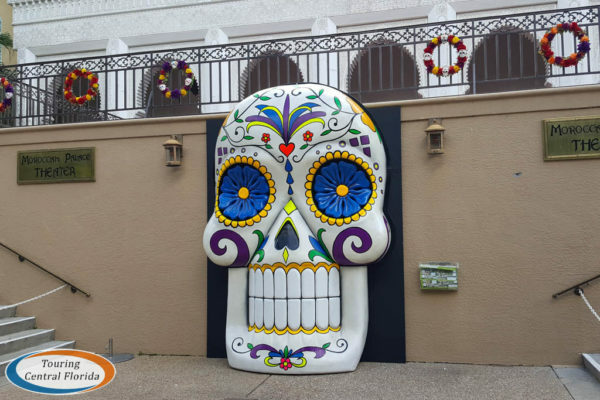 Daytime admission does not include admission to Howl-O-Scream, and it’s also not required for those who only want to visit in the evening to enjoy the event. Single night tickets and a number of packages, including the Recurring Nightmare option which grants access to all event nights, are available. 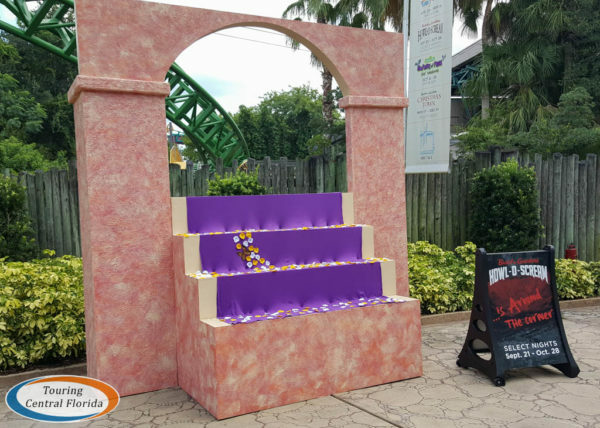 There is also a Wild & Wicked Weekend Ticket allowing guests unlimited admission to Busch Gardens Tampa Bay during the day and Howl-O-Scream at night on a four day weekend (Thursday through Sunday). It’s available for $104.99 + tax online. For those who want to attend Howl-O-Scream 2018 as many times as possible, the best option is the Recurring Nightmare pass, which grants admission on all 19 event nights for $99.99 + tax. 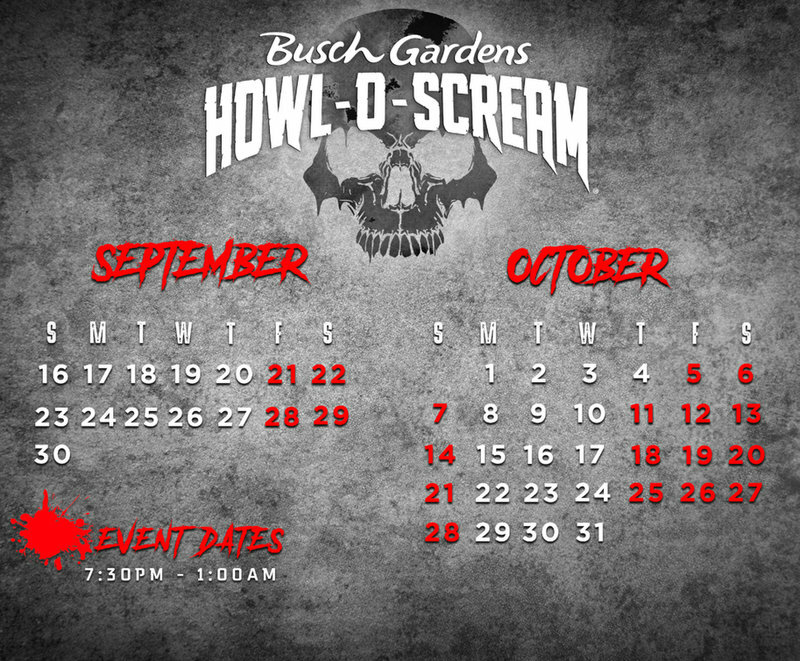 Purchase your tickets or vacation packages on the Howl-O-Scream 2018 website. 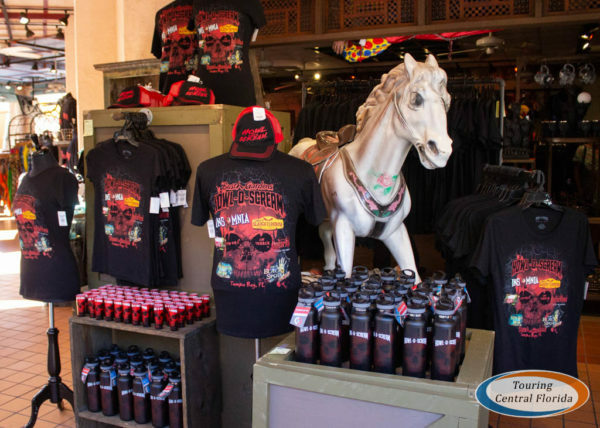 A number of optional add-ons are available for Howl-O-Scream 2018, which are referred to as Evil Upgrades. 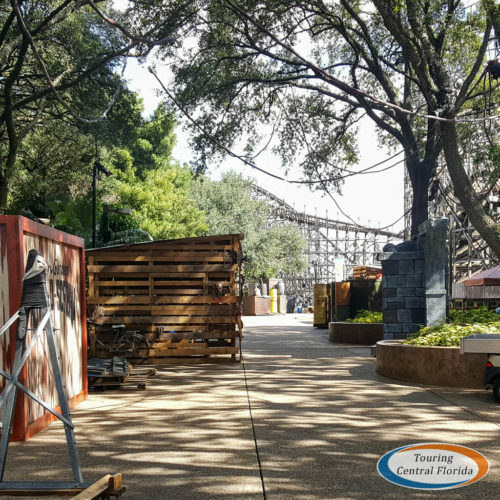 Along with Fright Feast described above, there are also upgrades for front of the line access and VIP Tours. Front-of-the-line access comes in two options – Front Line Fear and Front Line Fear Extreme. Front Line Fear allows the guest to skip the regular line once at all six of the haunted houses. Front Line Fear Extreme also includes the ability to use the Quick Queue line at six thrill rides of the guest’s choice. Both options also include a 20% discount at gift shops & Buy One Get One Free at select games. 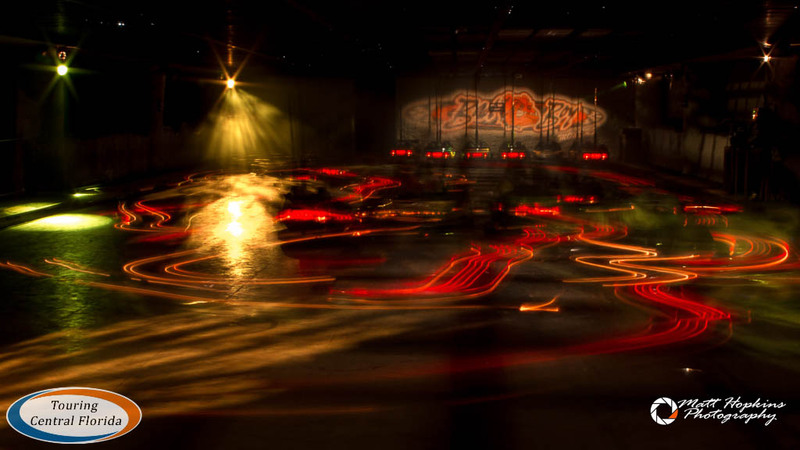 Prices vary based on date – Front Line Fear passes range from $35 to $75, and Front Line Fear Extreme run from $45 to $85. 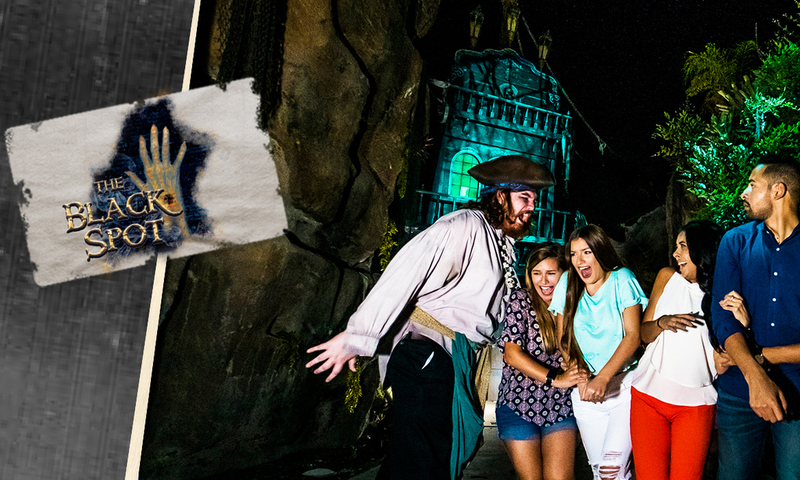 New this season is the All Howl-O-Scream Front Line Fear Extreme, which grants the guest the Front Line Fear Extreme benefits each of the 19 event nights. Price is $199.99 regardless of how many nights attended. Another option for guests looking for an upgraded experience is a tour. There are two tours available this year: Guided VIP or Ultimate VIP. 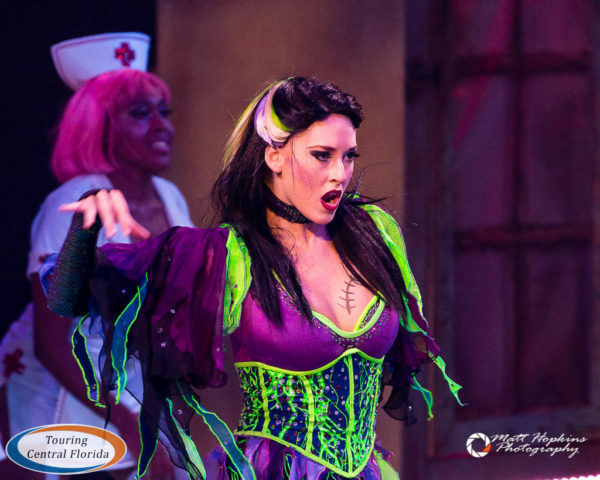 Both tour options include admission to Howl-O-Scream, front of the line access to the haunted houses, private beverage locations with beer, wine, water and soft drinks, reserved seating at a performance of Fiends, and a complimentary photo. The Guided VIP Tour is a three hour group tour where guests will most likely be put together with other sets of guests. 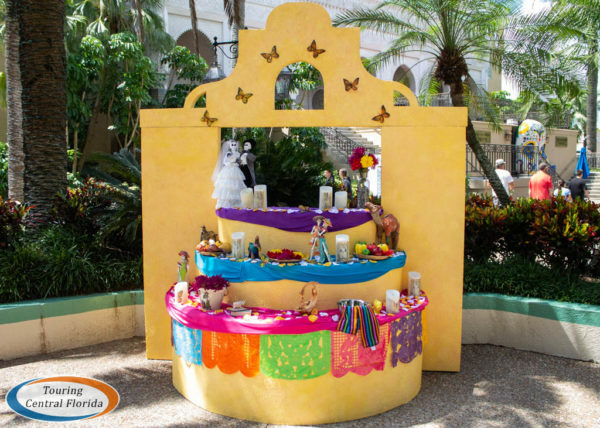 Prices range from $99 to $149 per person. 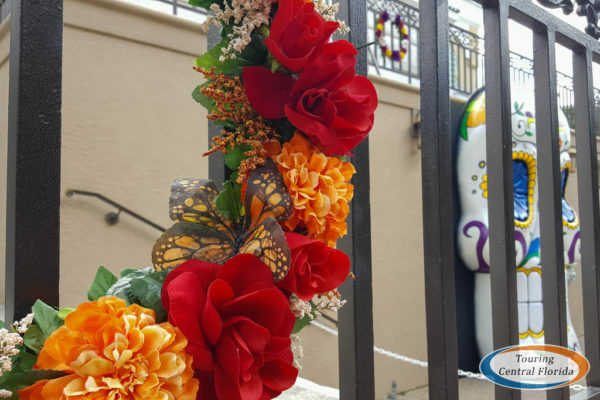 The Ultimate VIP Tour is a private and personalized seven hour tour for your own group, and also includes preferred parking, Fright Feast access, and front of the line access to the rides. 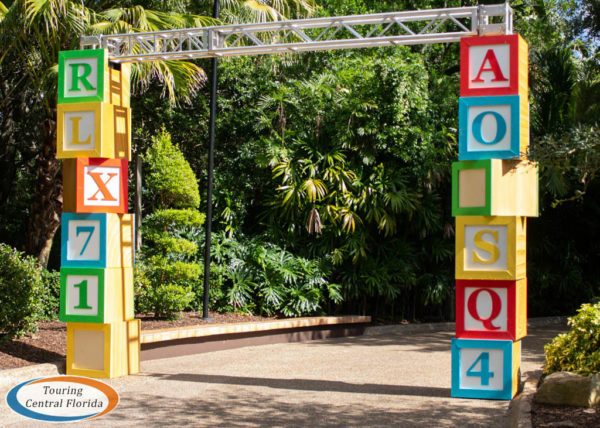 A minimum of two guests is required to book, and prices range from $229 to $299 per person. You can see all of the options and purchase your Evil Upgrades on the Howl-O-Scream 2018 website. 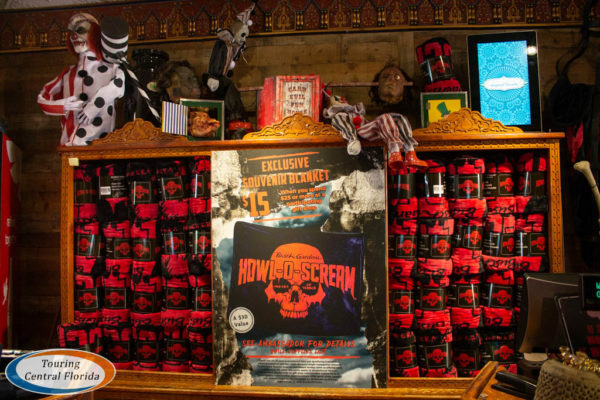 Join in the conversation on social media by using #HowlOScream, #NowhereToHide, and #HOS18. 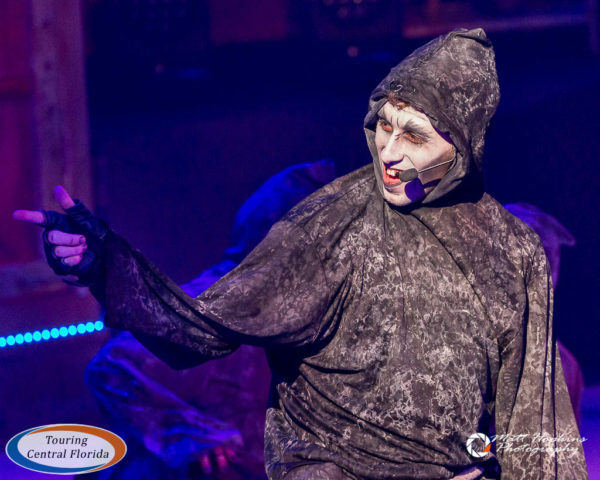 For the latest on Howl-O-Scream 2018 at Busch Gardens Tampa and other theme parks, attractions and more across the region, be sure to follow Touring Central Florida on twitter @TourCentralFL, @androckb, @Emmet_TCF, @JacobTouringCe1, and give our facebook page a like.